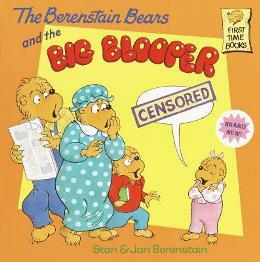 Why Are The Berenstain Bears Trying to Make Me Swear in Front of My Kid? If Sister Bear can be fallible, can’t we all? I write a lot about the joys of reading aloud to your kid. This is a cautionary tale about what happens when reading aloud goes wrong. The Berenstain Bears series was the first example of series fiction that my daughter really fell in love with, and I think that’s a pretty common occurrence. Many parents are comfortable buying their young children Berenstain Bears books for a variety of reasons – the stories are well told, the art is consistent, the books are inexpensive, the characters are captivating, the quality of the storytelling greatly outshines the other books on that one spinning rack at the bookstore (normally, cheap Barbie or princess books) – the list goes on and on. 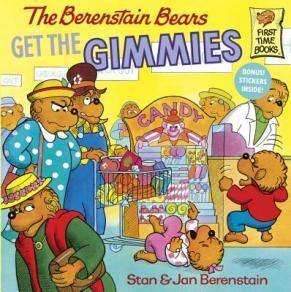 Berenstain Bears books have become a foundational pillar of modern children’s literature because they’ve created this very warm, very safe place for young readers to return to again and again. Which was why I was so surprised when a Berenstain Bear book made me say the F-word in front of my daughter. It looks SO innocent on its cover, doesn’t it?